In need of a new mattress? 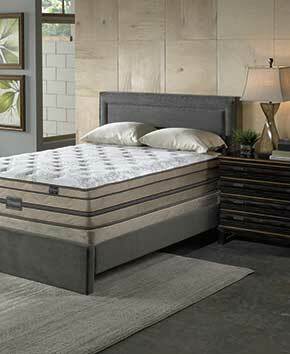 Consider getting a complete mattress set instead of using your existing box spring. 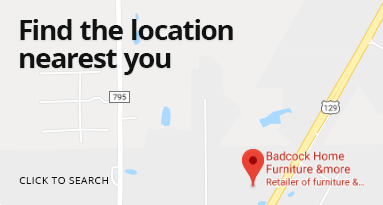 At Badcock, we offer queen size mattress sets, king bed mattress sets, twin bed mattress sets, twin XL size mattress sets, and full bed mattress sets. Savings: It's much less expensive to purchase everything as a set rather than separately. Consistency: You'll know your mattress pieces are the same age, meaning they will wear at the same rate. Compatibility: The same manufacturers make all the pieces in our mattress sets, so you know they'll work nicely together. Planning a complete bedroom upgrade? Purchase beautiful bedroom furniture sets for any bedroom in your home to complement your new mattress set. If you don't want to pay for everything up-front, be sure to take the opportunity to apply for financing with us today! The Emily Grace Super Pillow Top is state of the art design and technology. A quilted luxury pocketed spring mattress, the Emily Grace Super Pillow Top delivers deep conforming comfort and elimination of surface motion transfer. As a hybrid mattress, the thoughtful layering of high-density foam support layers affords maximum support and conformability. The addition of 2,040 Nano coils takes the Emily Grace to an entirely new level, with the Nano coils working in unison with other comfort layers for a feel that is nothing short of magical. This group includes Twin XL mattress and matching foundation. The Kathrine Euro Top Hybrid is engineered to deliver deep conforming comfort, superior support and value. This series features a high carbon content "tempered" pocket spring system, designed to eliminate motion transfer, and yet affords support, and conformability to the body's individual contours. Sophisticated heavy weight circular knit cover with natural fibers is used to enhance surface comfort, while soy-based upholstery grade foams and cool gel memory layers are layered with an ascending support strategy. This group includes Full mattress and matching foundation. The Kathrine Euro Top Hybrid is engineered to deliver deep conforming comfort, superior support and value. This series features a high carbon content "tempered" pocket spring system, designed to eliminate motion transfer, and yet affords support, and conformability to the body's individual contours. Sophisticated heavy weight circular knit cover with natural fibers is used to enhance surface comfort, while soy-based upholstery grade foams and cool gel memory layers are layered with an ascending support strategy. This group includes King mattress and 2 Twin XL foundations. The Kathrine Euro Top Hybrid is engineered to deliver deep conforming comfort, superior support and value. This series features a high carbon content "tempered" pocket spring system, designed to eliminate motion transfer, and yet affords support, and conformability to the body's individual contours. Sophisticated heavy weight circular knit cover with natural fibers is used to enhance surface comfort, while soy-based upholstery grade foams and cool gel memory layers are layered with an ascending support strategy. This group includes Queen mattress and matching foundation. The Kathrine Euro Top Hybrid is engineered to deliver deep conforming comfort, superior support and value. This series features a high carbon content "tempered" pocket spring system, designed to eliminate motion transfer, and yet affords support, and conformability to the body's individual contours. Sophisticated heavy weight circular knit cover with natural fibers is used to enhance surface comfort, while soy-based upholstery grade foams and cool gel memory layers are layered with an ascending support strategy. This group includes Twin XL mattress and matching foundation. The Madeline Luxury Firm Hybrid is engineered to deliver deep conforming comfort, superior support and value. This series features a high carbon content "tempered" pocketed spring system, designed to eliminate motion transfer, and extra support, and conformability to the body's individual contours. Sophisticated heavy weight circular knit cover with natural fibers is used to enhance surface comfort, while soy-based upholstery grade foams and cool gel memory layers are layered with an ascending support strategy. This group includes the Full mattress and matching foundation. The Madeline Luxury Firm Hybrid is engineered to deliver deep conforming comfort, superior support and value. This series features a high carbon content "tempered" pocketed spring system, designed to eliminate motion transfer, and extra support, and conformability to the body's individual contours. Sophisticated heavy weight circular knit cover with natural fibers is used to enhance surface comfort, while soy-based upholstery grade foams and cool gel memory layers are layered with an ascending support strategy. This group includes King mattress and 2 Twin XL foundations. The Madeline Luxury Firm Hybrid is engineered to deliver deep conforming comfort, superior support and value. This series features a high carbon content "tempered" pocketed spring system, designed to eliminate motion transfer, and extra support, and conformability to the body's individual contours. Sophisticated heavy weight circular knit cover with natural fibers is used to enhance surface comfort, while soy-based upholstery grade foams and cool gel memory layers are layered with an ascending support strategy. This group includes the Queen mattress and matching foundation.